Tonight Adobe hits London to host its Creative Meet Up - join us as we live stream all the action right here on Creative Bloq. Later this evening, some of the brightest minds in the industry will come together for Adobe’s Creative Meet Up – and it looks set to be spectacular. Visionary photographer Nick Knight, prolific art director Kate Moross and artist and print designer Kelly Anna are among the speakers to take the stage in what will be a creative night to remember. And you can be there too as we’ll have all the action right here on Creative Bloq via our live stream from 18.30 GMT (19.30 CET). As you hear from some of the industry’s finest, have your say and follow the conversation on social media using #creativemeetup. 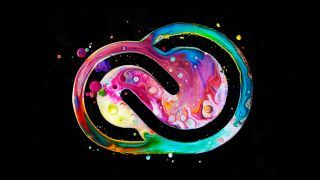 And be sure to keep an eye on @AdobeUK for details of a competition where one lucky creative will get the chance to win a year’s subscription of Creative Cloud to try out all the latest updates from the new release. Adobe XD CC - Developed in open partnership with the design community through a public beta, Adobe XD is the go-to tool for designing and prototyping mobile apps and websites. Adobe Character Animator CC - Launched just a couple of weeks ago, this brilliant 2D animation tool helps bring still image artwork from Photoshop or Illustrator to life. Want to see the new Creative Cloud in action? Principal Manager of Creative Cloud Evangelism at Adobe Rufus Deuchler will spend time at the Creative Meet Up presenting demos of many of its new features. Something for everyone, it really is a night not to be missed, so make sure you’re right here at 18.30 GMT (19.30 CET) to tune into the evening’s proceedings.